A remarkably clean set in original illustrated cloth, profusely illustrated with three tipped-in colour plates, three folding maps, 127 black and white photographic illustrations on 79 plates, 38 black and white sketches on 9 plates, a folding black & white line drawing, and numerous in-text sketches and diagrams. China-born Arthur Sowerby began his career as a naturalist by collecting specimens for the Museum in Tai-yuan Fu. In 1906, he was appointed to the staff of the Anglo-Chinese College at Tientsin as lecturer and curator of its Natural History Museum. In 1908, he joined American millionaire Robert Sterling Clark on an expedition into Shansi and Kansu provinces of north China for the Smithsonian Institute. This began a long association with Clark, who financed four expeditions into Manchuria from 1913 to 1915, during which Sowerby gathered new facts and made original observations on ‘every type of country-wide and fertile plains, heavy coniferous forests, or lighter woods of deciduous trees, low, grassy hills, or high, rocky peaks, reeking swamps, the valleys of great rolling rivers, or lesser stream-cut ravines’. 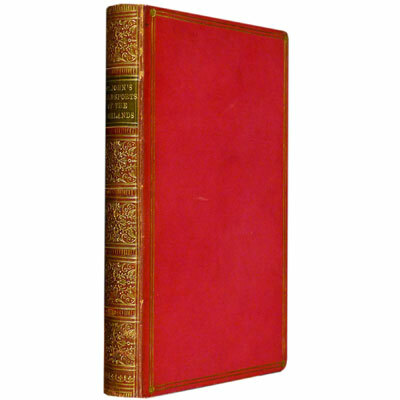 Five volumes bound in three, titled: Travel and Exploration; Mammals; Birds; The cold-blooded Vertebrates and Tunicates of the Manchurian Region; and The Invertebrates and Flora of the Manchurian Region. Spackman’s own copy of the first edition, and the first published work by a New Zealander on New Zealand trout fishing, with his underlinings and annotations to the first chapter, possibly preparing for an extract to be published on Salmon in New Zealand, as he has crossed out trout Fishing in New Zealand, and inserted Acclimatization of Trout Salmonidae in New Zealand. This work also also details for the first time the major fishing waters of the South Island, describing the Mataura River as ‘the best fly-fishing river in Otago or Southland’. With the large folding map New Zealand Shewing Trout Streams [49 x 74 cm] which is usually missing, as well as two full page plates of Otago Trout from different Rivers, and a colour folding plan of the Acclimatisation Ponds at Masterton. William Henry Spackman was a Barrister, as well as President of the Canterbury Angler’s Society, and Counsel to the Canterbury Acclimatisation Society. He was the joint owner of a fishing hut at Selwyn Huts, by the Selwyn River near Christchurch. 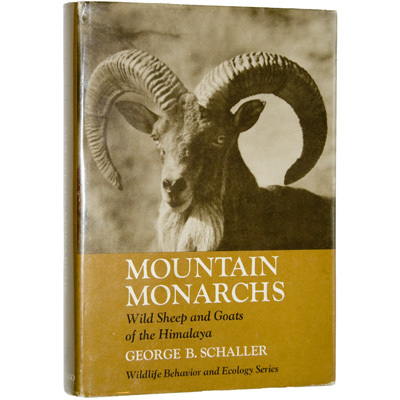 The classic and entertaining journals of Charles St. John recall a time of natural beauty and diversity of wildlife, from Martens, Ptarmigans, Eagles, Wild Swans and Buzzards to Grouse, Salmon, Woodcock, Stags, Badgers and Grebe.